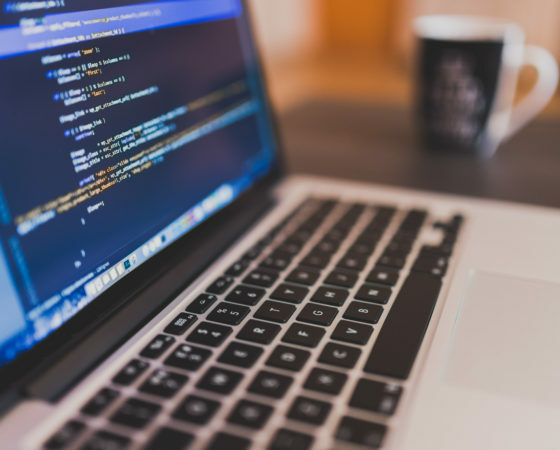 At NextGen, we apply a systematic, disciplined, quantifiable approach to the design, development, operation, and maintenance of software and are dedicated to the advancement of these approaches; that is, the application of engineering principles to the development of software. It is the application of engineering to software that allows for the integration of significant mathematics, computer science and other practices whose origins are in engineering. It is this systematic approach to the analysis, design, assessment, implementation, testing, maintenance and re-engineering of software that sets NextGen Federal Systems apart. NextGen supports DoD customers with geographically dispersed Enterprise IT Services. We support our customers with design, development, operation, and maintenance of a broad range of Enterprise IT capabilities including Systems Engineering, Cyber Security, Enterprise Application Development, Virtualization, Enterprise Sharepoint applications and portals, IT Hosting Environment Support, Cloud Computing Infrastructure Support, and Help Desk Support. We have provided seamless support for multiple DoD networks, including operation of redundant / backup sites for Continuity of Operations (COOP). NextGen’s talented senior staff provide Systems Engineering and Technical Assistance (SETA) services to the Department of Defense and Intelligence Agencies to meet critical mission needs, and is not precluded by or conflicted with any Organizational Conflict of Interest regulations. NextGen is continuously exploring new and emerging technologies to apply to its customers challenges and needs. With a focus on innovative research and development, NextGen has successfully captured both Rapid Innovation Fund (RIF) and Small Business Innovation Research (SBIR) awards. Current R&D areas include meteorological analytics and data management, space radiation/space weather, tactical sensor planning, and information assurance and security. NextGen’s engineers, developers, and subject matter experts provide modeling and simulation, systems engineering, software development and integration, and advanced testing support for space systems solutions. NextGen’s IAT Level II & III certified Cyber Security resources employ the DoD Risk Management Framework Guidance, Army Cybersecurity, and Intelligence Policies and Procedures as a unified approach to defend information systems across multiple classified network domains. NextGen supports the Intelligence Community (IC) GEOINT and MASINT mission areas with software design and development of Tasking, Processing, Exploitation, and Dissemination (TPED) systems for intel analysis and production. We develop with new tools and techniques to exploit intelligence value from sensor data by providing design and implementation of software architectures, databases, and applications resulting in increased exploitation capabilities and intelligence value for our customers. NextGen leverages its extensive experience with mission planning software and RF systems to offer custom solutions in Electronic Warfare (EW). NextGen’s expertise in design and development of EW solutions include system concept development, modeling and simulation, system design, implementation, and testing support. * The appearance of U.S. Department of Defense (DoD) visual information does not imply or constitute DoD endorsement.